Excellent condition. With detachable waist tie. 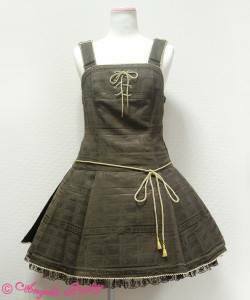 Adjustable pinafore style straps with buckles.